A gritty two-under 70 clinched a one-shot victory over Dustin Johnson, Brooks Koepka and Xander Schauffele and earned the 43-year-old a 15th major title that many thought would never come.Unsurprisingly, the triumph also renewed talks of Woods making a run at Jack Nicklaus’s record of 18 majors. 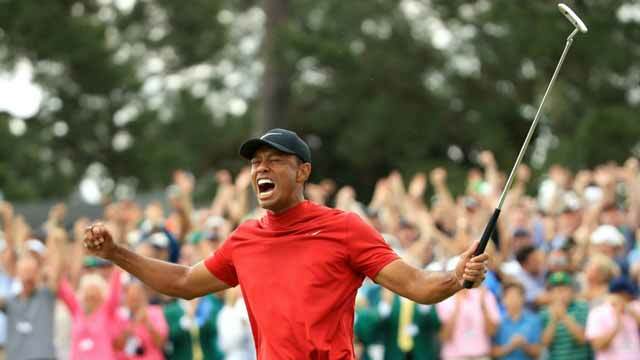 The victory also marked the first time Woods had reached the winner’s circle at major without leading after 54 holes. He ended last season by winning the Tour Championship and showed signs of a breakthrough at the majors by being a title contender at last year’s British Open, where he led in the final round, and PGA Championship, where he finished runner-up.